Save AED 102 (26.91%) – Earn 26 Shukrans What is Shukran? Shukran is the Landmark Group’s award-winning loyalty programme in the Middle East, which allows you to earn Shukrans when you shop any of our brands. 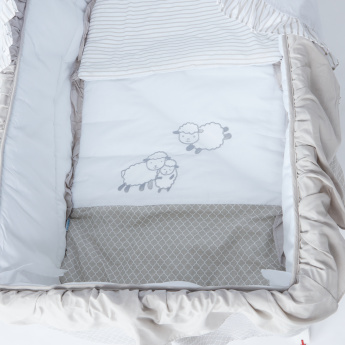 Your baby will sleep comfortably in this compact crib. 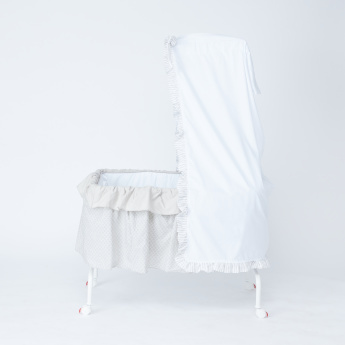 This sturdy crib has wheels that facilitate easy portability while the subtle rocking function will gently lull your little one to sleep. 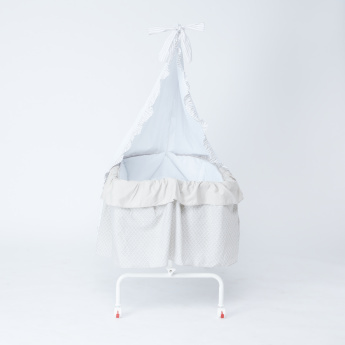 The canopy will protect your baby from bright lights and lend a cosy feel while sleeping.